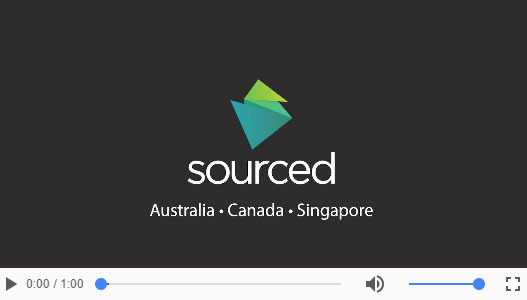 Sourced is a rapidly-growing global consultancy with offices in Australia, Canada and Singapore. Founded in 2010, we provide consulting services to migrate enterprise customers to hyperscale cloud providers. We specialize in organisation-wide cloud transformation and DevOps enablement for a wide range of industries, including financial services, healthcare, aviation, media and telecommunications. We work with some of the largest and most security-conscious organisations around the world to help them unlock innovation through cloud computing. Our client list is filled with household names in the worlds of finance, media, transport, healthcare and telecommunications. We are trusted as business and technology partners, from corporate leaders guiding the company and challenging our skills, to those we mentor and help implement the projects on which we engage. We have a customer-first culture and aim to be a trusted advisor to our clients. Using best of breed technology, we listen to our client’s requirements and offer innovative and secure cloud solutions. We have nearly a decade of experience in delivering successful large scale cloud transformation programs and have achieved many “industry-first” implementations for a wide variety of industries, including finance, media, transport and telecommunications. We primarily work with large enterprises on their cloud transformation projects, and have the expertise to bridge the gap between fast moving hyperscale tech companies and risk-averse enterprises. We offer a proven platform that lays the foundation for an ongoing cloud adoption journey and reduces the time it takes to successfully adopt cloud at scale. We provide our enterprise customers with proven IP on how to design and transition to the cloud at scale, which lowers adoption risk. We provide consulting and project management services to efficiently migrate enterprises to hyperscale cloud providers.